Rated 4.7 out of 5 stars based on 16 customer reviews. Gaithersburg, MD area residents have the option of numerous Gaithersburg roofing companies but know that we are the roofing contractors that they can trust. With direct ties serving the local community and Montgomery county, Seneca Creek Home Improvement is focused on conducting their business with integrity, answering customers questions with complete honesty, offering straight-forward pricing and having knowledgeable roofers. Maryland homeowners looking for reliable Gaithersburg roofing contractors choose Seneca Creek Home Improvement, one of the trusted roofing companies serving the Gaithersburg, MD area that offers quality roofing products, affordable repair services and experienced roofing contractors. Seneca Creek Home Improvement employs professional roofers because homeowners are concerned about professionalism of the roofing contractors and quality of their service. With many different roofing contractor choices and different roofing companies available in Gaithersburg, MD, it's difficult for homeowners to choose the best roofing materials, but working with an experienced roofing company and trusted installers helps. Seneca Creek Home Improvement has expert roofers that help homeowners choose the right roofing products for their roof and budget. 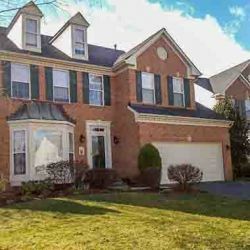 Seneca Creek Home Improvement is a Gaithersburg roofing contractor that uses straight-forward roof pricing, rather than slick contractor sales techniques. You can rest assured knowing the installation cost of your roof replacement or roof repair will be fair and reliable. If Seneca Creek Home Improvement earns a customer's roofing repair or roof installation business at the first consultation, they pass the savings of the return trip to the customer with a 3 percent savings discount. This really sets our roofing company apart from others. The roofing contractors at Seneca Creek Home Improvement know that a few dollars in savings on a product does not always equal value; therefore, every roofer is able to help customers make good product selections that do not cost too much up front, yet will hold up over time. If a high-quality product is not installed properly, the value of the product will be wasted. Our contractors are trained with extensive knowledge and experience to ensure your roof replacement or roof repair service will last. Every roofer at Seneca Creek Home Improvement is factory-trained and certified to install their roofing products and perform any roof repair. Maryland homeowners who are looking for a Gaithersburg roofing company they can rely on should consider Seneca Creek Home Improvement, which is a company that offers the best possible value on roofing products and related construction services. The Maryland roofing contractor experts at Seneca Creek Home Improvement of Gaithersburg, MD can assist you with any questions regarding roofing repair, windows, siding, doors or gutters. The roofing experts at Seneca Creek Home Improvement of Gaithersburg MD can assist you with any questions regarding roofing, windows, siding, doors or gutters. Seneca Creek Home Improvement was a pleasure to work with from minor roof repairs to the inevitable need for a full roof replacement. Tim, an experienced roofer, was wonderful in explaining our options and giving us a top-quality product that was within our means. We appreciated the recommendation to replace our skylights during the roof install as we ultimately saved ourselves a lot of money and aggravation. Our home suffered storm damage in July 2012 when a thunderstorm swept through Montgomery County. We researched a number of reputable roofers in the area and made calls for estimates while we waited for our insurance adjuster to make his inspection. 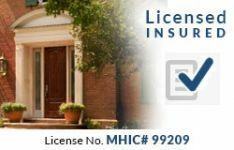 We felt that the estimates that we received were unusually high based on the knowledge that an insurance payment was processing and that our address is in North Potomac. The estimate that we received from a roofer at Seneca Creek Home Improvement was significantly less than what the other companies wanted, much closer to what we expected. The quality of our new roof and the skill of the construction crew are top-notch. Tim was professional, answered all of our questions and is also a great guy. We highly recommend Seneca Creek Home Improvement for your roofing project. The positive reviews from our customers says it all! Call Seneca Creek Home Improvement in Gaithersburg, MD at (240) 426-2816 for a free window, siding, roofing or door project consultation and quote. Homeowners can learn about safe ways to collect rain water from their roofs. With a few simple steps, a homeowner can find a quality roofing contractor they can trust. Gable and hip roofs are two of the most common roofing styles in the United States. Some of the reasons why asphalt shingles are highly recommended by professional contractors. Learn the best times to schedule a roof replacement with a roofing company. The crew did a great job. Started and finished on-time and were very thorough. Thanks Will! Attention to detail has always set us apart from our competitors. The Seneca Creek crew has made replacing the roof an amazingly smooth, time and cost efficient process. They scheduled quickly, arrived timely and worked without interruption. Both the Project Manager and the crew leader took time to explain the process and materials in detail, and took pictures to illustrate the steps. All crew memmbers were considerate, pleasant and tidy, leaving no trace behind. I was fortunate to find such an excellent company.The Seneca Creek crew has made replacing the roof an amazingly smooth, time and cost efficient process. They scheduled quickly, arrived timely and worked without interruption. Both the Project Manager and the crew leader took time to explain the process and materials in detail, and took pictures to illustrate the steps. All crew members were considerate, pleasant and tidy, leaving no trace behind. I was fortunate to find such an excellent company. The Seneca Creek crew has made replacing the roof an amazingly smooth, time and cost efficient process. They scheduled quickly, arrived timely and worked without interruption. Both the Project Manager and the crew leader took time to explain the process and materials in detail, and took pictures to illustrate the steps. All crew members were considerate, pleasant and tidy, leaving no trace behind. I was fortunate to find such an excellent company. The Seneca Creek crew has made replacing the roof an amazingly smooth, time and cost efficient process. They scheduled quickly, arrived timely and worked without The Seneca Creek crew has made replacing the roof an amazingly smooth, time and cost efficient process. They scheduled quickly, arrived timely and worked without interruption. Both the Project Manager and the crew leader took time to explain the process and materials in detail, and took pictures to illustrate the steps. All crew members were considerate, pleasant and tidy, leaving no trace behind. I was fortunate to find such an excellent company. We are glad to learn about your experience with us Marta! A large portion of our business comes from referrals – so we really appreciate you recommending us to family and friends. I had new soffit and facia installed. The installation commenced sooner than I had expected and was completed professionally and expediently. This was my second installation project with Seneca Creek. In both cases, they have provided excellent service at a very competative cost. I am very satisfied with Seneca Creek's service. Thanks, Larry! Our knowledgeable crews undergo continual training to assure they are experts in the newest materials and installation techniques. This allow us to meet customer needs with the highest quality and greatest value. Outstanding Company with excellent service! Seneca Creek does an excellent job! Tim goes above and beyond through the entire process. Seldom do you have such a positive experience with contractors, but not with Seneca Creek. Extremely professional with reasonable prices. Can not recommend highly enough! Knowledgeable Sales engineer. Competitive price. Fulfilled my expectations. Crew worked diligently through two days to complete the work. They cleaned up all the debris after removing the old roof and again at the end of the job. Thanks for choosing Seneca Creek Home Improvement for your new roof. My experience with Seneca Creek was outstanding from beginning (Jeff's presentation) to end (completion of installation of new roof in a timely manner). I am very happy with my new roof and with my decision to go with Seneca Creek. Thank you for choosing Seneca Creek Home Improvement for your new roof and we are pleased that you are happy with our services. I had a much larger window installed on main level of house. Workers were so clean and respectful to my property. Finished in one day! Went to extra effort to not disturb my tile in area window installed. Cannot say enough great things about the job that was done! Will recommend you guys to all my friends. Thank you for the recommendation. Our team provides this level of service to all of our customers. Thank you for choosing us for your window installation. Tim was terrific. Very knowledgeable and responsive. And the work crew was superb. Fine company! Everything in this project (Over 40 windows) was done as promised. The crew showed up on time and worked at full speed all day without breaks. The project manager and owner were accessible every step of the way to address questions. They cleaned up the house well. There were no surprise charges. We were extremely happy with our choice of contractor and would not hesitate to use them for other work or recommend them enthusiastically. Thank you for the recommendation Rick! Our crew was happy to work with you in a timely manner. We strive to provide quality work, while keeping our customers informed on the status. We look forward to hearing from you again! Very professional experience. They did everything exactly like was promised and they scheduling was spot on. Highly recommend them. We appreciate your recommendation Janet! Our expert crews only use top brand products to achieve the best results. Tim Bissell was an amazing person who was not a typical salesperson trying to sell something. He was honest, knew what he was talking about and was very genuine. His response time, service was excellent. The roofers who did the actual work were exceptional. They were efficient and clean. I forget the name of the lead person(Sorry). He was professional & helpful. Its been a long time since I have been wowed by any contracting company. So glad I found you through Homeadvisor.com. Keep up the good work. Thank you for doing a great job. Thanks Madhi! We always strive to exceed customer expectations. Replaced all windows in my house. Did a great job cleaning up. Thanks Michael - respecting a customer's property and maintaining a clean work environment during the job and upon completion is an important part of our overall process. Roofing Installation was as promised and a quality job. From the initial contact to provide an estimate , the arrangement for the installation was an easy process. the workmanship was excellent, the completion was as promised and the continuous customer service excellent. The new roof is a beautiful addition to my home. We strive to make this as seamless as possible. A pleasure to work with you Joseph. My roofing project with Seneca Creek could not have gone better. From the salesman, Tim, to the guys on the crew - all were professional and cared about the work and my home. I would definitely recommend them and will not hesitate to use them again in the future. Respecting our customer’s home is paramount – something we talk about every day. Really like the roof color you selected – nicest home in the neighborhood. Highly recommend Seneca Creek - they replaced our roof and skylights several year ago and just replaced our windows and door. Outstanding customer service, quality, and value. Thank you! Thanks Sharon - Providing high quality work so we have an opportunity to work on additional projects is important to our business. Looking forward to working on your next home improvement project.